One year ago today, I was preparing for surgery. As a performer and artist, the possibility not being able to perform for over a month scared me. Although I had been through many surgeries before, I had blocked out the post-surgery pain, and what it felt like to recover. That, coupled with the fact that my mentor and teacher had unexpectedly passed away the month before, left me feeling less than optimistic. Thoughts of dying on the operating table plagued me, even though I knew that the procedure was fairly routine (albeit, related to the heart). What scared me more than dying was the fact that I haven't *lived* my life yet. As I was checking facebook, I noticed an alarming update from a friend, "Michael Jackson is dead". It couldn't be. It was impossible. It's a hoax. But I had to know for sure. I turned on the news, and the anchors were talking about MJ being admitted to the hospital, but were not certain of his condition. So there's still hope, I thought. People have survived heart attacks before. Within half an hour, the world's fears were confirmed. Michael Jackson was dead. Michael Jackson was the man who got me through high school. I was the kid who sat in the corner, doodling and writing. The one who people thought was strange, and who tried too hard. I got in fights, I was verbally attacked, I suffered academically, I got kicked out of class. In my second year of high school, I wrote a composition, about how popularity and reputation mean nothing, and that I had revisited the music and message of Michael Jackson, particularly the song "Man in the Mirror". When I was a little kid, I had watched "Moonwalker" over and over again, and was mesmerized by the first scene-- the thousands of lights held up by the crowd, Michael spinning like he was suspended in mid air. By the end of my composition, I had vowed to be a voice for change, and to view others as my sisters and brothers. I used my poetry and spoken word to channel my frustration and anger, much like Michael, or any artist for that matter, uses their art. He became my sole inspiration, and I *studied* his performances and videos- as he once said, "The greatest education in the world is watching the masters at work." I spent my lunches in the library, listening to Michael Jackson and working on a million and one ideas, poems and, of course, homework. I graduated high school a year early. 10 years later, I revisit his music, his performances and his message- and have come to understand his genius in a new way- not just as a fan or admirer, but as an artist. So often, on stage, I have 'thought' during a performance. The thinking behind the performing stems from the fear of forgetting my words and my actions, wondering what the audience is thinking and how they are perceiving me. There are brief moments, and rare times, however, when I haven't thought at all. The words come, the actions become ritualistic and organic, my voice is grounded from a place deep within. Michael Jackson never thought when he was on stage. He FELT. He knew himself to the point of *trusting* himself on stage, he internalized his actions and his words to the point of them becoming part of his very essence-- and that is the most difficult thing for a performer to achieve. That state of complete awareness and abandon is a state of sheer perfection. It is tapping in to a creative wellspring, being yourself in the truest form and yet being one with everything and everyone. As I sat on the couch stunned by what was unfolding infront of me, I realized that the saddest part about Michael Jackson's death is that he would no longer create. It was the one thing that kept him alive- despite the cacophony and chaos around him, he found a stillness and clarity in expression. 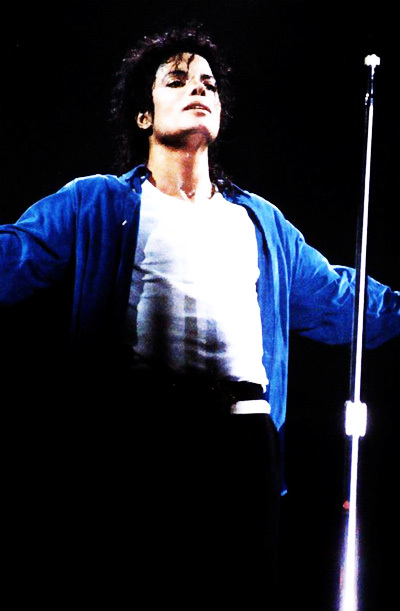 Instead of fearing my surgery, Michael Jackson's death taught me to live without fearing death. He gave everything to his audience, and I haven't yet. He left his heart and soul on stage, and I still take mine with me. And although he will no longer be able to create new performances and songs, he is a continual source of creation. Because of him, people create. He is our phoenix-- every time someone creates after being inspired by his songs, performances and poems, he rises from the ashes. The only way to keep him alive is to keep his message alive through our creations. I just read this NOW Sheniz. and it truly beautiful and inspirational, but more than that, appears spontaneous and straight out from the fears and doubts you had. Seems like that as we get to the end, we actually felt that you are feeling much better too after penning down your words. Beautiful writings, I love how you describe Michael as our Phoenix..